Joyce Rezendes has an artistic career spanning over five decades: in California, then Europe, then New York City. By training a painter her output has invovled diverse media and styles, from traditional representational oils-on-canvas, to water-colour, to pen and ink drawing, to collage, and other forms. Free, but registration is important. 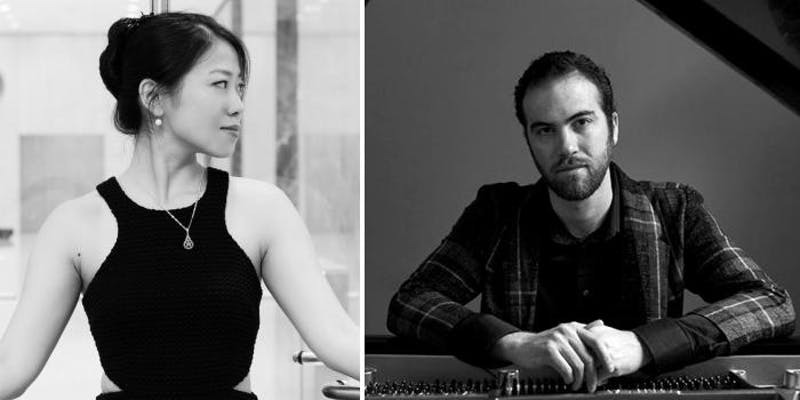 Sophia Zhou and Daniel Schreiner play works by Claude Debussy (Selections from Études), György Liget (Selections from Musica Ricercata), Olivier Massiaen (Selections from Musica Ricercata) and Gyorgy Kurtág (Selections from Játékok). Sacred Harp is a vibrant, living tradition of sacred choral music, sung a cappella, that has been handed down for generations. Singers of all levels of experience and ability are encouraged to attend. Everyone is welcome! A spectacular evening featuring one of Richard Strauss' most sumptuous works alongside technicolor beauties from Wagner, Korngold, Chopin, Joplin and Paisiello! Ravishing Soprano Julianna Milin will be delivering these delights along side Master Pianist and Coach William Hicks. Back by popular demand, Yaegy Park is joined by her fellow Juilliard concert artists on March 24 & April 7th in two beautiful chamber music concerts. After the success of “Opera in the Village”, German soprano Katrin Bulke and French mezzo-soprano Emma Lavandier return to St John’s in the Village for a night of songs, arias and duets from their native countries: Offenbach, Strauss, Schumann, Brahms, Hahn and more! Pianist Eric Sedgwick will accompany. A reception will follow. Price: regular $20, early bird until March 31st $15, reduced $10. Family and group prices available. Pianist PAUL VERONA will recreate the European Salon performing Six Nocturnes by Frédéric Chopin, the Moonlight Sonata by Ludwig van Beethoven and 4 pieces from Isaac Albéniz's Iberia Suite. Please join us as for an evening of lush and sensuous music. How Leonardo DaVinci's musical knowledge and skills informed, and was informed by his scientific inventions and knowledge of the natural world. A workshop for children of all ages in building homes for our feathered friends. This concert celebrates our ‘avian architecture’ with bird-themed vocal music from 16th and 17th centuries with music by Henry Purcell, Orlando Gibbons, Thomas Weelkes, Thomas Morley, Henry and William Lawes, and others, including (from the 1660s) some of the first English-language songs to be heard in Manhattan. This concert will present spirituals by African-American composer Roland Carter, celebrating Black Village heritage. With baritone, Frank Mathis, and St John’s Honorary Assistant Organist, Jonathan DePeri. There will be no other concerts in Holy Week. 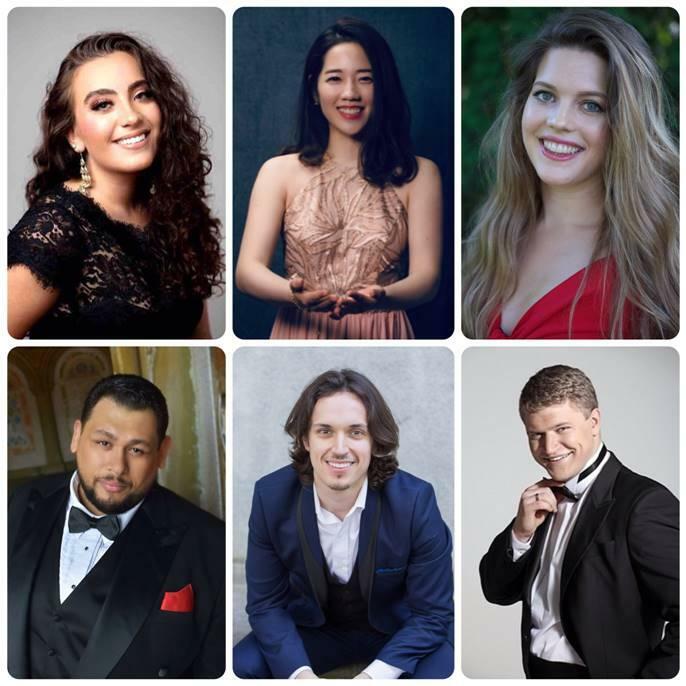 Join Lindell Carter, Jonathan Greene, Samuel Varhan, Hajeong Lee, Anna Viemeister, and Manya Steinkohler in an evening of great arias and duets from the world of classical and romantic opera. Further information and booking click here.